Situated in the heart of Utah’s state capital, our Downtown Salt Lake City hotel is ideal for urban adventurers or intrepid solo travelers—anyone looking to experience the area like an SLC native. Welcome to the brand new face of Salt Lake City hotels, former Red Lion Salt Lake City, now proudly Hotel RL Salt Lake City. Guests can make themselves at home with our great on-site amenities and satisfy their wanderlust with the sights and sounds of the city. Grab a cup of artisanal coffee from the on-site Victrola Coffee Roasters and help yourself to a free bike rental for an eco-friendly way to explore nearby attractions. From lectures to performances to hands-on demonstrations, the Living Stage at Hotel RL invites people from all walks of life to share their knowledge and passion for community awareness, health, creativity, and innovation. Designed to ignite conversations and promote a deeper understanding of the world around us, The Living Stage incorporates authors, artists, musicians, community leaders, local start-ups and more. We believe everyone deserves to sleep with a roof over his or her head. That’s why we started Project Wake Up Call, a philanthropic initiative to help end homelessness one new hotel opening at a time. Learn more about Project Wake Up Call and our Salt Lake City partner: The Road Home. Traveling doesn’t mean you have to give up the conveniences of home. Hotel RL Salt Lake City offers everything you need, whether you’re visiting for work or play. In addition to the shops and restaurants in the downtown area, guests at Hotel RL have access to a variety of on-site facilities and services. Make your stay as seamless as possible and take advantage of our free airport shuttle, onsite dining options, and spacious business center. Some of our more unique offerings include bicycle rentals, Tesla charging stations, and a valet laundry service—great for longer stays. Our atmosphere makes it easy to stay focused on work or take some time to relax before exploring Utah’s vibrant capital city. We are a pet friendly Salt Lake City hotel, so don't forget to bring your pets. At Hotel RL, we are devoted to spreading ideas and delivering inspiration to our guests and our community. In this spirit, we created The Living Stage where we showcase locals that have a passion for what they do. From public speakers to musical performances to hands-on demonstrations, we invite an assortment of impassioned people to come and share a glimpse into their world. All of our hotel locations, from coast to coast, feature The Living Stage where guests and locals gather to enjoy themselves and be inspired. Hotel RL Salt Lake City welcomes pet owners with an urge to travel to stay in our pet-friendly rooms. Not only is Hotel RL situated in downtown Salt Lake City, only minutes away from pet daycares and nature walks, but we put you in the middle of Salt Lake County, where off-leash sites total 2.5 acres of parks. Our accommodations exceed expectations among pet friendly hotels in Salt Lake City. We have rooms specifically made to host pets, with close access to the outdoors. The pet fee is $15 per stay for each pet. No need to call a sitter when you visit Hotel RL. Share memorable moments of downtown Salt Lake City with your pets. To learn more about our pet policy, pet-friendly rooms, and fees, please contact us at (801) 521-7373. The Road Home is a non-profit organization offering assistance to individuals and families experiencing homelessness in Utah. In addition to providing emergency shelter and case management, this private agency operates the largest shelter in the state with an ultimate aim of moving as many people as possible into permanent housing. Learn more here about how you can get involved with Hotel RL’s Project Wake Up Call and The Road Home’s mission to overcome homelessness in Salt Lake City and beyond. It is estimated that on any given night in US, more than 600,000 people experience homelessness. As members of the lodging industry, we believe it is our duty to do something about this. Project Wake Up Call is the response. Experience authentic dining in Salt Lake City, a lively bar atmosphere, and artisanal coffee during your stay at Hotel RL Salt Lake City. Our on-site restaurant, bar, and café can satisfy any craving, so you don’t need to head out hungry. Modern American fare with a Pacific Northwest twist, our restaurant is focused on providing guests with healthy dishes that highlight contemporary local cuisine. Whether you’re eating a hearty breakfast or grabbing a refreshing drink before bed, the restaurant at Hotel RL and bar offer a selection of food and beverages both day and night. 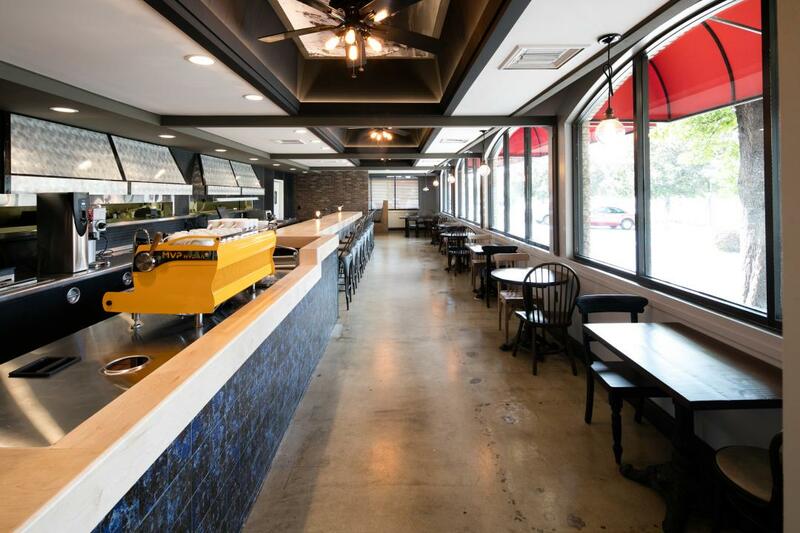 Our Salt Lake City hotel has partnered with Seattle-based Victrola Coffee Roasters to provide guests with delicious caffeinated brews in an inspiring coffee house environment. Set up shop with your laptop, take a to-go cup, or relax with friends while you sip an acclaimed premium roast from this respected coffee purveyor. We offer coffee options for free in the lobby each morning. Stop by and visit us in our cafe. Hotel RL has partnered with Seattle's own Victrola Coffee Roasters to bring their celebrated brews to our Olympia hotel. Crafted for modern coffee aficionados, Victrola sources beans from farms in Uganda, Honduras, Indonesia and under-the-radar locales like Yemen. Hotel RL serves Victrola’s acclaimed single origin coffees and innovative blends in an inspiring engage environment that enriches life’s simple moments for guests and locals alike. Guests of the hotel can stop by each morning of their stay and grab a free cup of our custom made espresso beverage. Make your next group event or Salt Lake City meeting even more memorable with help of Hotel RL and our modern amenities. Looking for a hotel near Salt Palace Convention Center , our spacious Salt Lake City venues feature 8,000 square feet of adaptable function space, including 13 meeting rooms and banquet areas for larger group celebrations. Each function space is equipped with our state-of-the-art AV equipment and complimentary Wi-Fi, with custom catering services also available for the perfect menu. Simply share your vision with our expert staff of event planners and see your vision come to life at our event venues in Salt Lake City. 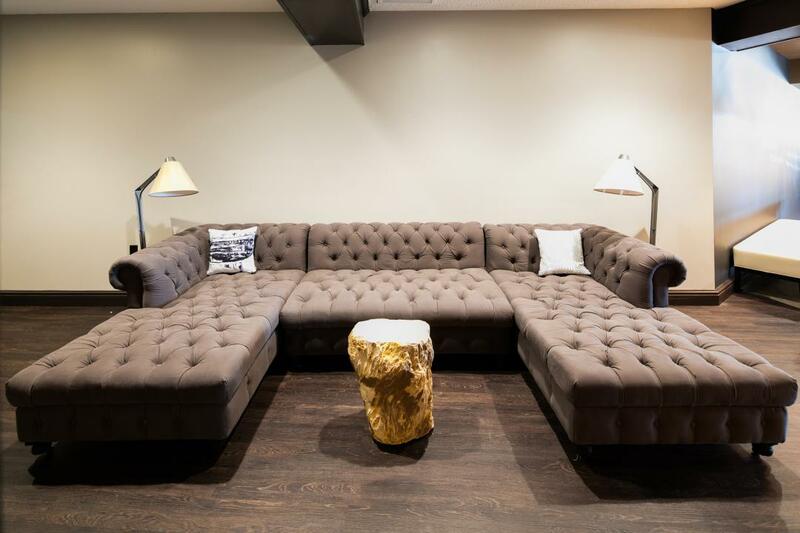 These convenient amenities, combined with our ideal location in Downtown Salt Lake City. Request a proposal or contact our expert Sales team at (801) 524-0311. In need of a block of guest rooms for your next trip? Our hotel in Salt Lake City offers convenient and easy group room blocks for all types of travel. Whether you are in town for a meeting at the Salt Palace or just bringing a group to visit downtown Salt Lake, we can provide affordable group room rates for your next journey. Let us handle the group room coordination while you focus exploring all that Salt Lake City has to offer. Only five minutes away from the Salt Palace Convention Center, Hotel RL Salt Lake City puts you within easy access of your event. Events vary from sports to conferences to markets. Our hotel near the Salt Palace Convention Center puts you near major events like Big Mountain Jam, a massive basketball tournament, and NACC athletics. Salt Lake Comic Con attracts avid fans of movies, TV, and comics. For outdoor adventurers, Outdoor Retailer's summer market is the largest of its kind, showcasing the latest and best equipment for your hunting, camping, or fishing excursions. Need Rooms While Attending an Event at Salt Palace? When you stay at Hotel RL Salt Lake City, we provide you and your group with everything you need to take on a convention or conference at Salt Palace. Our event planning guides help you develop an itinerary and know the lay of the land before you even set foot in Salt Lake. Our 13 meeting rooms on property are excellent for hosting clients away from the convention center. For comfortable group accommodations and convenient business travel, our hotel near Salt Palace Convention Center is second to none. Call to set up your room block today (801) 524-0311. From the airport: Trax Light Rail. Take the 20-minute Green Line ride from the airport to downtown Salt Lake City. There is a stop one-half block from the convention center. Most downtown hotels are within easy walking distance to a TRAX stop. Cost: $2.50 one way. Cash or credit cards accepted at the platform kiosks. Salt Lake is also part of the nation-wide Green Bike program. UTA Bus has a Free Fare Zone downtown. Frontrunner trains operate beyond the city. The Salt Lake City meeting space at Hotel RL is well equipped to hold your next corporate conference, employee training session, or company retreat. With convenient amenities, a central location, and a helpful staff, our Downtown Salt Lake City hotel is the ideal place to plan a successful business event. Our dedicated meeting rooms feature adaptable space for groups of varying sizes, AV equipment for optimal presentation quality, and custom catering options. Attendees will also appreciate the complimentary airport shuttle service, complimentary Wi-Fi, and comfortable guest accommodations. In addition, our location makes it easy for everyone to spend their leisure time exploring the best things to do in Salt Lake City. Contact our expert Sales team at (801) 524-0311. View our flexible meeting space options by downloading our Get Local Guide. Enjoy the best pre-game accommodations and amenities when you bring your team to Hotel RL Salt Lake City. Our sports team hotel in SLC offers an affordable solution to group travel, whether you’re chaperoning a troupe of little league baseball players or participating a kickball tournament. In addition to our well-appointed guest rooms and on-site facilities, our team is also happy to cater a lively banquet or team dinner. To learn more about our discounted Salt Lake City sports team group rates or event spaces, please contact the hotel directly. Let Hotel RL handle the menu while you stay focused on your event. Our Salt Lake City catering services can satisfy even the most discerning palate, whether you’re powering through a business lunch or savoring a celebratory dinner with friends. Our team is focused on providing delicious dishes with fresh ingredients, which is also always reflected in an equally thoughtful meal presentation. For further assistance and to plan your event, please call (801) 524-0311 to speak to the catering director today. In a city known for its hometown hospitality, visitors can have it both ways and enjoy popular attractions and restaurants in Salt Lake City, in addition to mingling with locals at more low-key establishments. No matter your interests, you can enjoy a wide variety of things to do in Salt Lake City in the area surrounding our downtown hotel. 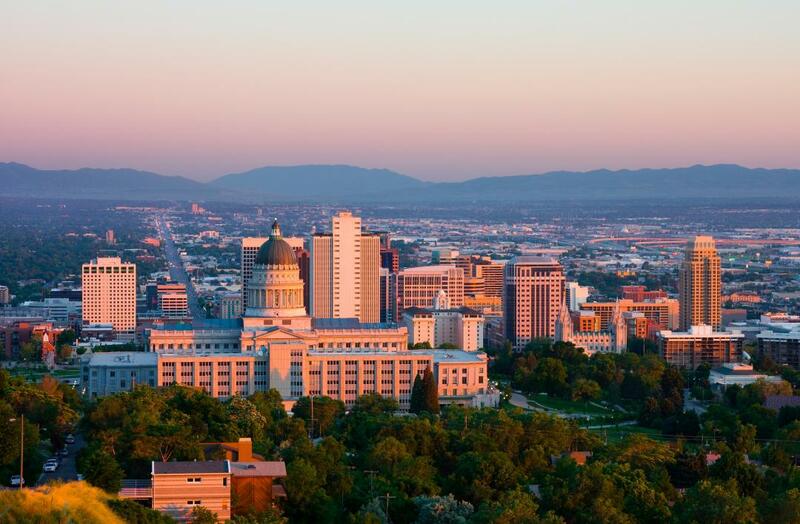 From sightseeing to skiing to shopping in Salt Lake City, there’s truly something for everyone in this capital city. When looking for hotels in Salt Lake City, enjoy the ideal location of Hotel RL Salt Lake City. Breathtaking architecture can be enjoyed right in Temple Square, and over 100 shops and restaurants are located at the City Creek Center. Popular annual events are hosted in Salt Lake City throughout the year, including the renowned Sundance Film Festival. Meanwhile, the Wasatch Mountain landscape offers numerous ski slopes, golf courses, and water sports opportunities. Our friendly staff is happy to provide their recommendations for the top places to see and things to do when you stay with us at Hotel RL. Read on to learn even more about some of our picks for the best Salt Lake City attractions. Take a break from exploration and spend some time shopping at City Creek Center, located near Hotel RL. Our friendly team is happy to give you a lift if you are looking for an easy way to start your shopping adventure. This massive outdoor complex is located within one of the nation’s largest mixed-used downtown redevelopment projects. It features a retractable glass roof, a creek that runs through the property, and some of the best shopping in Salt Lake City. You won’t have a tough time finding a souvenir—this pedestrian-friendly center boasts 100 stores and restaurants including Nordstrom Rack, Apple, Blue Lemon, and Restoration Hardware. Our Hotel RL in downtown Salt Lake City is situated near a number of iconic LDS landmarks, and is the closest among hotels near Temple Square. When visiting Utah it's worth checking out the landmarks that represent the beginning of this incredible city. Salt Lake City was historically considered a holy city based on its beginnings. The story of Brigham Young and his members of The Church of Jesus Christ of Latter-day Saints settling into Utah, specifically Salt Lake City, dates back to 1847. As Young and his pioneers headed west to find a place to settle, they climbed to the top of a summit (now known as Ensign Peak) and admired the Salt Lake Valley, where they decided to build their faith and new home. Although less than half the population of Salt Lake City are members of the LDS Church, the movement has amassed nationwide recognition and has made Salt Lake City a groundbreaking site. SLC is currently home to the headquarters of The Church of Jesus Christ of Latter-day Saints (LDS Church), Temple Square and other Utah milestones. Whether you’re fascinated by history, religion, or recently listened to the Book of Mormon Broadway soundtrack, there is something for everyone when visiting these iconic Salt Lake City landmarks. There are many reasons to visit Salt Lake City. Whether it’s our wondrous mountain ranges or abundance of state parks, people venture to Utah’s capital city for a variety of purposes. But what makes Salt Lake City stand out is the number of annual events presented all year round. Most notably recognized for hosting the Winter Olympics in 2002, SLC is home to an endless amount of occasions, representing our city's thriving and vibrant culture. Visitors who stay at Hotel RL are centrally located to the festivities, bringing passionate locals and travelers together. Whether it’s a film phenomenon like Sundance Film Festival, iconic outdoor music experiences like Deer Valley Music Festival, or celebrating diverse communities with Pioneer Day events or Pride Festival, the surest way to have an authentic Utah experience is to attend these events. After you've explored our detailed area guide, featuring the best Salt Lake City attractions, check out these outdoor hidden gems. SLC is known for encouraging those to get outside, with an emphasis on hiking, skiing, and art gardens. These beautiful sceneries are difficult to find, giving travelers a truly unique experience within each visit. Our friendly staff at Hotel RL Salt Lake City is happy to share with you some of these secret hotspots. Located in Big Cottonwood Canyon, this is easily one of the most obscure and remarkable hikes in Salt Lake City. The Donut Falls are created with Cottonwood Creek waterfalls pouring through a donut-shaped hole against a rocky backdrop, creating a heaven-like scene. Bonus: Try snowshoe hiking here, popular among Salt Lake City locals. This scenic hike, about 11 miles up Big Cottonwood Canyon, features wildflowers and a beautiful alpine lake with the reflection of willow trees. This is an easy route, perfect for beginners or those interested in taking gorgeous pictures to show your friends and family back home. Discover the best restaurants in Salt Lake City, which serve an eclectic variety of cuisines to satisfy a wide range of palates. Even better, these much-loved downtown dining destinations are located within walking distance of Hotel RL. This friendly neighborhood brewpub has been pouring refreshing beers since 1989. More than a bar, it also features a delicious menu that includes Blackened Tilapia Salad, Jambalaya, and more. This modern restaurant serves New American dishes made with sustainable, locally-sourced ingredients whenever possible—including fresh produce grown at the Copper Onion Gardens. 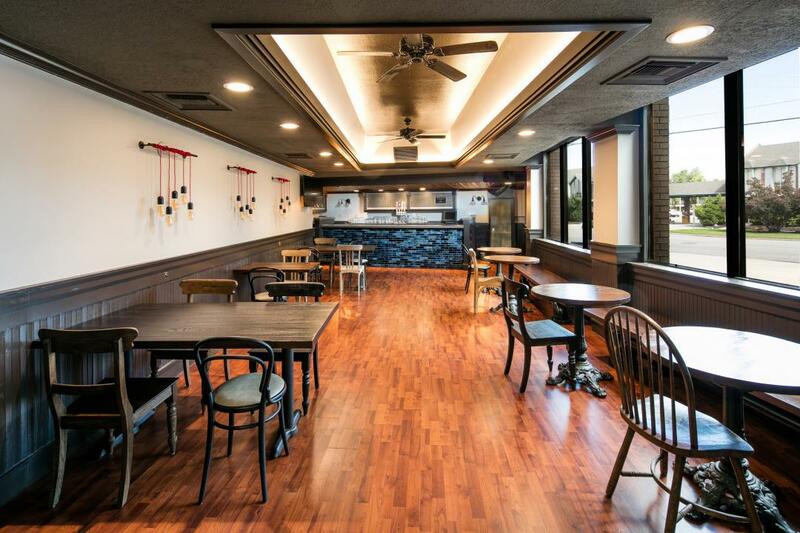 Enjoy sake, sushi, and classic Japanese dishes at this contemporary restaurant. Arrive early for a table or grab a seat at the bar and watch the chef’s expert preparation of sushi rolls and more. With a delicious menu and local artwork adoring the walls, this trattoria is a unique fusion of Northern Italy and the Northwest United States. During warmer weather, enjoy an al fresco meal on the garden patio. Authentic Neapolitan pies are served at this casual-meets-cool pizzeria, which has outposts throughout the West Coast. Classic menu items include the Margherita, Quattro Formaggi, and Capricciosa pizzas. This industrial-chic brewpub offers a variety of draft classics, including Amber Ale, a Hefeweizen, and a Belgian Dark, alongside a menu packed with hearty comfort foods.